Unmanned drones don't have the reputation for being particularly concerned with human life. Well, to be fair, they don't really care about anything. They're drones. But even though drones are typically used for controversial purposes, like secretive surveillance and aerial attacks, they're perfectly capable of becoming the kind peace-loving, aeronautical helper-bots that we've always hoped for. Frog Design is a multi-national product strategy and design firm that works with companies like Microsoft, Apple, Disney, and Sony. 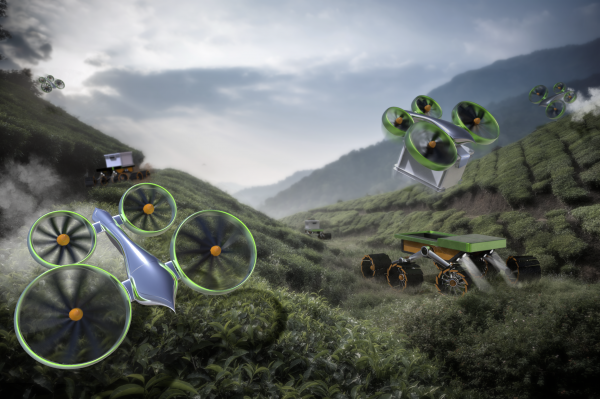 Cormac Eubanks, Frog's product development director, produced a collection of concept drones that could " improve people's lives - and possibly even save them." "This is our vision of a future where drones are not spies, weaponry or scary agents of evil," says Eubanks in a blog entry Frog Design's website. "They can be trusted aids that assist humans tasked with doing some of the most dangerous work we know. In this world, these devices -- with their sensors and bleeding edge technology -- become extensions of our society's infrastructure and essential to our well-being." Four pieces of concept art were produced, each showcasing a different drone design. The Snow Cyclops, for example, would spend its time on the snowiest mountains. It would use explosives to trigger preventative avalanches and a thermal imaging camera to aid in search-and-rescue missions. 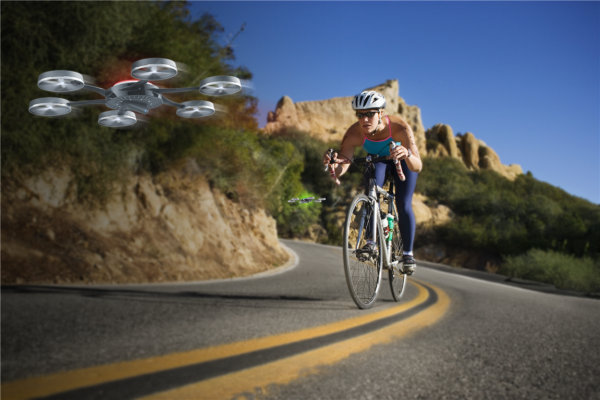 The Cyclodrone, on the other hand, would make the roads safer for solo bicycle riders by traveling ahead or behind the rider to warn approaching vehicles. It would also take a slick video of the trip. 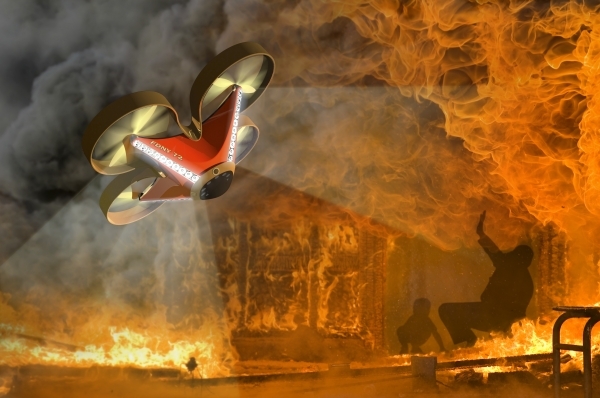 The Firestorm drone would scout burning buildings before the rescue squad entered the area. This could potentially decrease the risk to firemen while improving the likelihood that a survivor would be found. 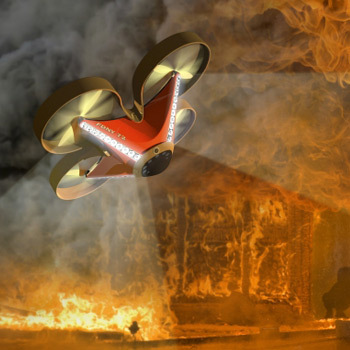 The drone would carry a battery of sensors that would warn rescuers of any potential danger, and LED lights would guide disoriented victims in a smoke-drenched environment. Hummingbird and Beetle are a pair of "autonomous agriculture vehicles." Hummingbird would have the ability to fertilize soil and map topography, while Beetle harvests the crops and packages them into crates. Sadly, none of these lifesaving drones actually exist, but the world would be a lot cooler if they did. Saving lives while keeping firemen out of harm's way.